I can't believe it's day 4 already! This evening I am taking the night bus to Paris after 4 long years of being away. Today's gift was very fitting because I needed something that will not only increase the wear-ability of my makeup but also make me look a little brighter eyed. I was up late packing, have work today and then will be on an 8 hour bus ride so thank goodness for this little bottle of Stay Don't Stray Primer for concealers and shadows. 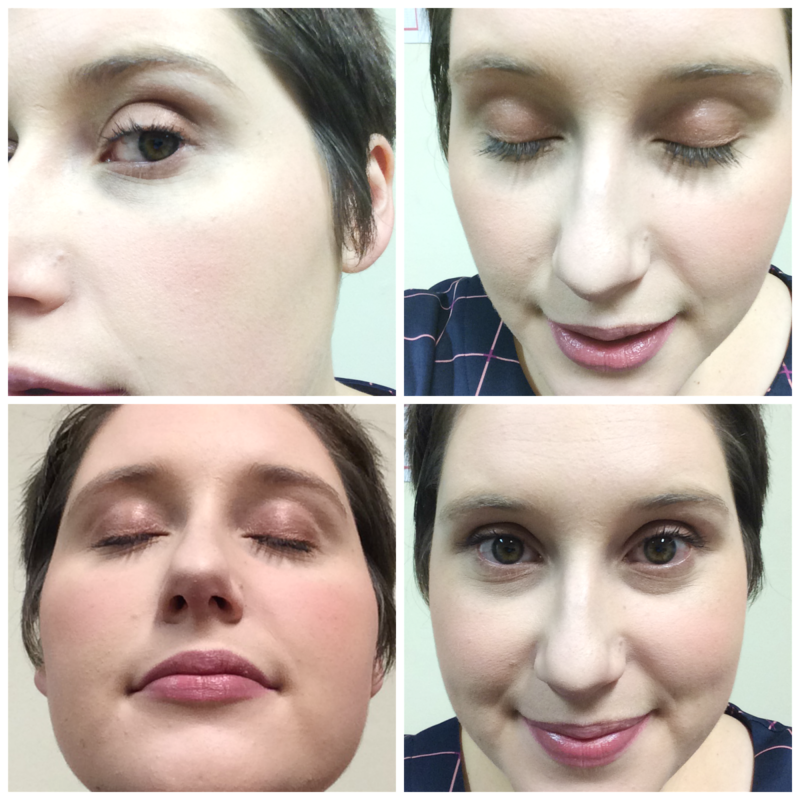 This one was a light/medium shade and although you can't see it in the photos, my under eye area and shadows are flat and staying put - where they normally spread and move within an hour of makeup application. Find the Stay Don't Stray Primer here! And stay tuned for tomorrow - Day 5 is almost here!